Members of the Adult Institute with their bowls. 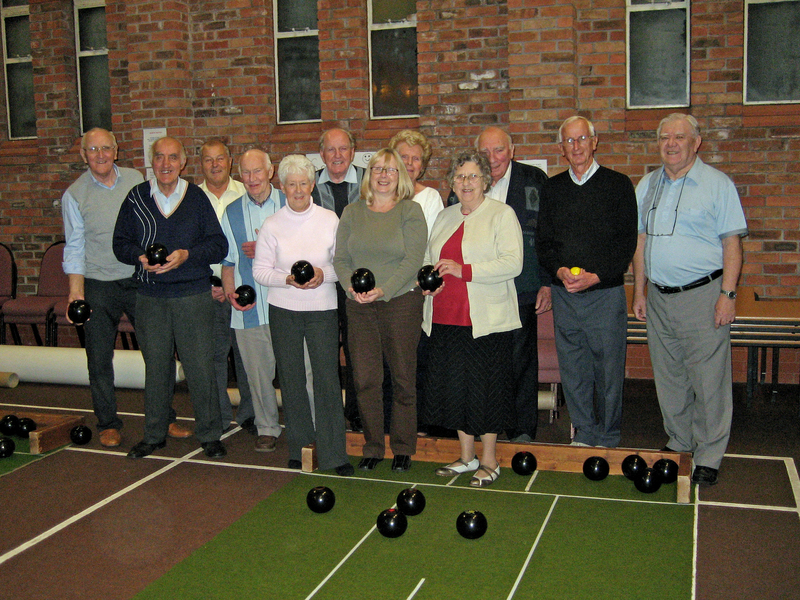 The Adult Institute meets in the Church Hall on Tuesday afternoons at 2.00pm for indoor bowls. There are facilities for other indoor activities, for example badminton. From time to time, social evenings are held at outside venues when partners are invited to join the group. For further information, please telephone the Chairman, John Bryan on 01606 551609.